Childhood is a crucial stage in the development of an individual. Physically, it can determine how athletic and healthy someone’s going to be; emotionally, it can decide how stable one might turn out; intellectually, it can build a child’s learning capabilities. Point being, child care is a factor in making or breaking a person. Family friendly places like Salt Lake City aim to help you achieve that goal. If you want your family’s future generation to succeed, make sure to see them through their young, little selves. Physical activities like sports can help your child develop their motor skills. It promotes health as it develops various types of the body’s system. Getting down and dirty exposes them to bacteria that would, in turn, help their immune system get stronger. Keeping active strengthens their already strong little hearts in their cardiovascular system. Games stretches help the muscles become more flexible and grow. Sports can also teach your kids the value of commitment since they would have, to an extent, make it a habit (if they are enrolled in a sports class or something similar). It also builds ambition as it always pushes the kid to push through his limits. It also teaches the value of working in a group if it happens to be a team game. Without a doubt, letting your child go through this will help them one way or the other. They might even have you to thank for not being so clumsy when they grow up. This article might start sounding like a stereotypical Asian kid list of required skills, but really, these activities are helpful. Just goes to show you that Asian parents might just have been on to something when they put their kids through this. 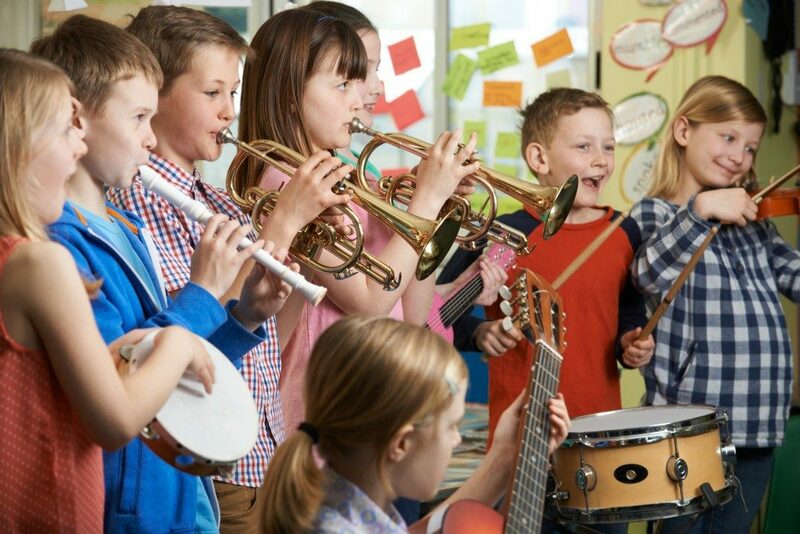 A study shows that learning music aids the brain’s understanding of sound, language, speech, and reading. The best part of this is that they can learn this unconsciously because even just listening to music and unknowingly learning the melody, the lyrics, the progression. Art, on the other hand, unlocks the child’s imagination. It lets them flesh out what their precious brains have thought of. Be careful not to limit them by asking them to draw within the lines or drawing the “proper way.” Unless you have plans of putting them through art school until college, just let them do what they want. You can still dabble and help here and there but not so much that it will seem more like a quiz than a fun activity. There are a lot of small ways that you can further the development of your child care. It can even be simple ones such as talking them through what you do for work or also teaching them how to bake. Even dropping them off at daycare and letting them socialize is excellent for their development! Why Should You Emphasize Multiculturalism in Your Children?